Suisman Shapiro Sponsored Post — When Connecticut couples divorce, one piece of property they may need to divide is a retirement account. This might be what is known as a qualified plan, including a 401(k), or it might be an Individual Retirement Account (IRA) or another non-qualified plan. There are different regulations for dividing these types of accounts. With a qualified plan, if a person withdraws a portion of the money and gives it to a spouse, that money will be taxed and may be considered an early withdrawal. This can lead to a significant reduction in the final amount. However, if the couple gets a document known as a qualified domestic relations order (QDRO), the tax and early withdrawal penalty will be waived. A couple can have a QDRO for an IRA, though it is not necessary to avoid tax. Furthermore, there will still be a penalty for early withdrawal for people under a certain age. Other specific regulations may differ across company plans or pensions, and a couple may want to look into these regulations. It is important not to assume that the process will be straightforward nor that it will not incur penalties or fees. Furthermore, the QDRO must be prepared accurately as it can be a costly document that becomes even more expensive if there are errors. One option for couples who do not want to go through the trouble or expense of splitting a retirement account is for one person to keep the retirement account and the other person to take another valuable asset. This might be the home or an investment account. However, it is important that the values of these assets be assessed accurately. This means taking both taxes and penalties into account as well as the liquidity of the asset. For example, a bank account could be more liquid than a retirement account while maintenance and insurance are among the costs of a home that should be considered. The Law Firm of Suisman Shapiro focuses on this area of the law. 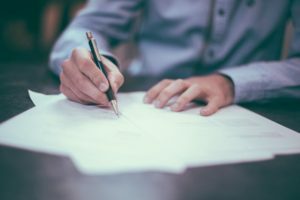 If you are seeking experienced legal guidance for a divorce in Connecticut, contact Attorney Robert Tukey to arrange an initial consultation with an experienced eastern Connecticut divorce lawyer.